Permanent Cosmetic Microblading Training Nashville, Tn. Are you interested in the field of Permanent Cosmetics and Microblading? Learn the art of Permanent Cosmetics through Jeanette Wirz Permanent Cosmetics and Microblading. With our experience and knowledge, we are able to offer the best and most extensive programs for the advanced artist and the beginner in the field of Permanent Cosmetics and Microblading. Permanent Makeup, sometimes referred to as Micropigmentation, is a Tattoo. The skin is penetrated in order for the implantation of pigment to occur. Permanent makeup should enhance your natural features, without giving a "made-up" look. Topical makeup trends change from season to season, but having thick lashes and defined brows and lips will never go out of style. This is a fast-growing and popular method for enhancing personal beauty. We are excited to offer a 100 hour Beginners Fundamental Permanent Cosmetic and Microblading training course with a one-year apprenticeship program also available. The cost of the apprenticeship is not included in the class prices. With this training, we equip you with everything you need to be successful in the permanent cosmetic industry. Check out our course offerings. Before your training begins you must study and pass a Blood borne Pathogens/Communicable Disease certification. This training can be completed at the Tennessee Department of Health or online at Alliance of Professional Tattooist. The state of Tennessee doesn't recognize any other Certification. This course is $5,500 with a $500 nonrefundable deposit due at booking. The remaining balance is due two weeks before the course begins. 100- hour Fundamental / Beginner course has three parts. Customized courses will allow us to focus on specific areas. Procedures include Brow Shaping(Mapping), Microblading, Eyeliner, Lips, Eyebrows. Hours will be given for prior training. Artists for these classes must provide training hours to be eligible. This Course is $800 with a $200 nonrefundable deposit due at booking. The remaining balance is due two weeks before the course begins. 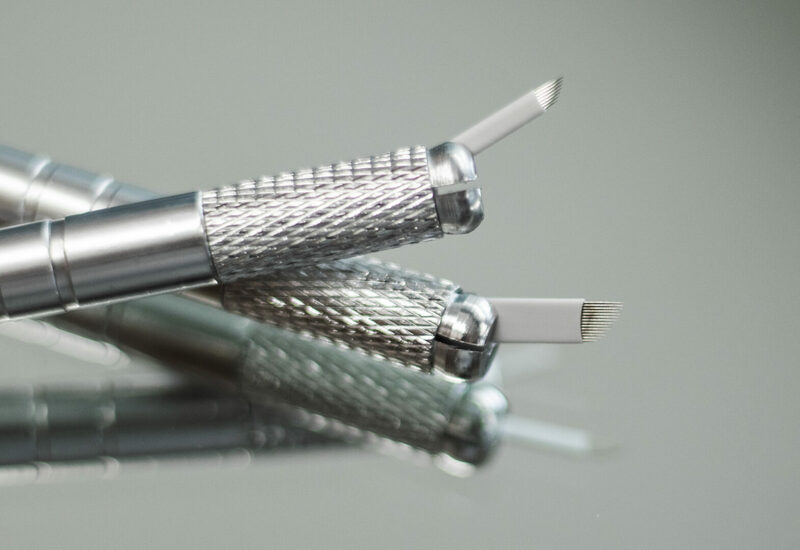 Tennessee requires that you have a Tattoo license to perform Permanent Cosmetics and Microblading unless you are under the supervision of a physician licensed by the State of Tennessee. A Monthly customized schedule will be arranged upon completion of the fundamentals. You will need to apply for your Tattoo Apprentice Permit at your Public Health Center. 1 year Apprenticeships are not included in your fundamental basic training course. Call for more details. *Financing options are available with up to 14 months interest-free and low monthly payments to qualified applicants.